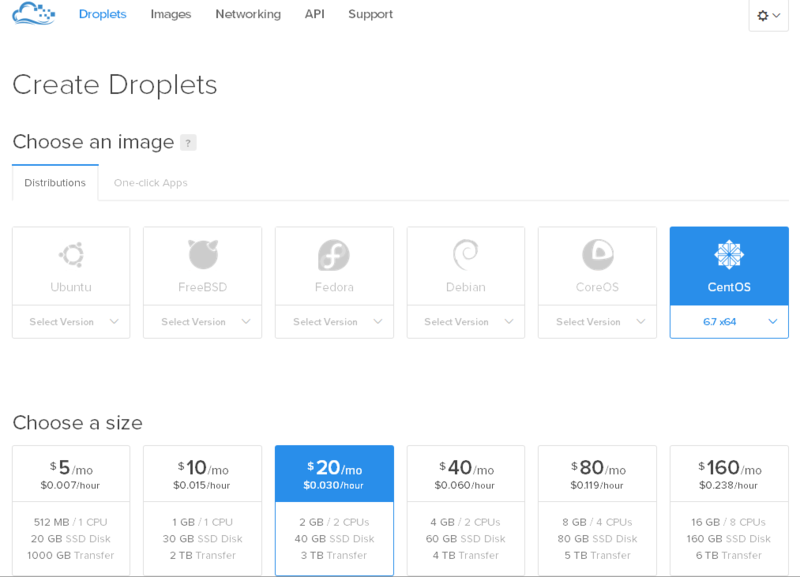 In my search for new VPS hosting this week, I was introduced to a company called Digital Ocean. 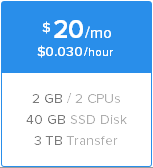 As I was working through their offerings, I noticed that they actually offer VPS hosting by the hour, and I was intrigued. Who could pass it up for THREE CENTS per hour? Size and processing power, Datacenter Region and a few other options, including SSH keys. So, I fired it up for a few minutes, took note of the fact that there was actually 2GB of RAM and a pair of CPUs allocated along with 40GB of disk space. At 20 bucks per month, it might be just what I need – a no frills linux server that I can configure as I please from the command-line without having to worry about what the next cPanel update is going to do to my configuration. I may have to hang out with these guys a for a little while! But, then you ask – what in the world would I ever need to use this for? Well – the first thing that comes to mind is using it as a test bed to work on system configuration updates before deploying them to my production server. Maybe a new Apache configuration, or a shopping cart installation. It’s basically a place that I can work without worrying about corrupting my production server or leaving old useless files lying around after I’m finished testing something. Once I’m done testing on the droplet, I can just destroy it and move on with things. So, I’m pretty pleased that Digital Ocean was pointed out to me, and I hope that you’ll find utility in it as well.